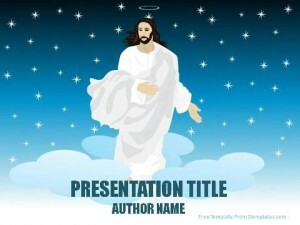 Jesus Christ of Nazareth is one of the most recognized spiritual deities, and the most important divinity in Christianity. He was considered to be the right hand of God, and a prophet and messiah of morality and spiritual beliefs. 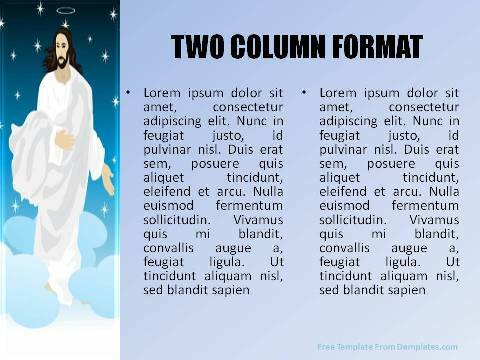 Though his death was a painful stand to protect humanity and for the sins they committed as seen in the event ‘Crucifixion of Christ’, he had performed several miracles before his unfortunate death. It began from his birth, where he was born to his virgin mother Mary as seen in ‘Nativity of Christ’ and span over his life as it unfolded to include changing water into wine, walking on water, rising from the dead known as ‘Resurrection of Christ’ in the bible and so on. 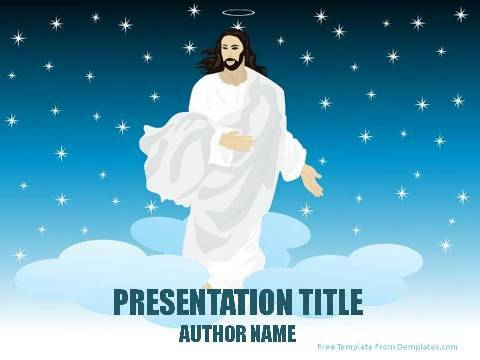 This free Miracles Of Jesus PowerPoint Template can be used for presentations of academic and religious purposes in schools and colleges, for subjects such as history of religions, study of Christianity and important historic events, etc. It can be used at church sermons and ministry projection systems praising Jesus Christ on the eve of Christmas, his day of birth with pictorial depictions of his miracles as image clips in the background and accompanied by audio clips of songs praising his feats, with lyrics in the background as well.